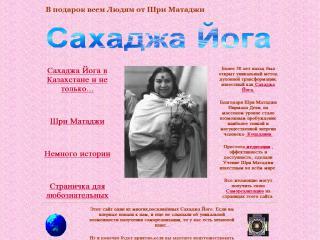 A site in Russian describing Sahaja Yoga meditation for seekers in Kazakstan in central Asia. Minor correction: the language of this web-site from Kazakhstan is Russian. It does not seem to have a version in Kazakh language.